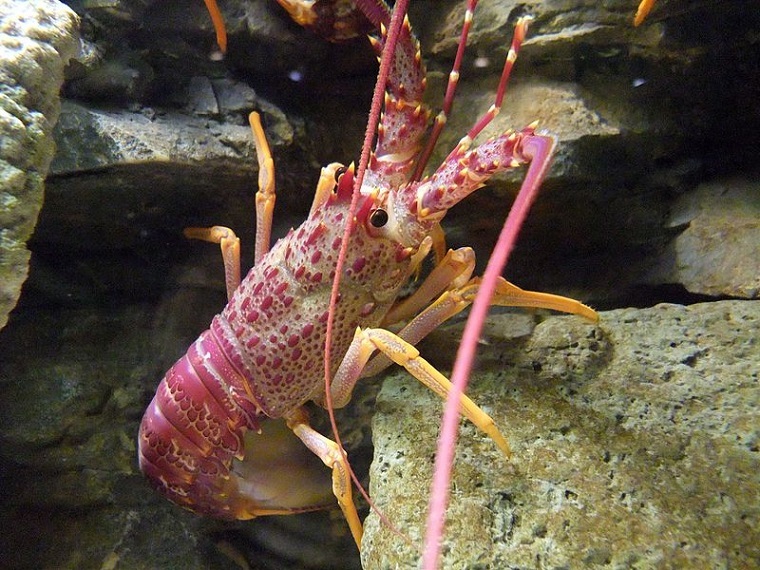 Monroe County, FL – Florida Fish and Wildlife Conservation Commission (FWC) investigators charged three individuals after a two-year investigation, dubbed “Operation Thimblerig,” breaking up a criminal conspiracy involving the exploitation of the spiny lobster commercial fishery. The suspects are charged with numerous felony charges, including racketeering, conspiracy to commit racketeering, organized scheme to defraud, criminal use of personal identification, and official misconduct pertaining to the sale and transfer of Spiny Lobster Trap Certificates as well as obtaining Restricted Species Endorsements on Saltwater Products Licenses. Time-consuming records investigative work, in addition to the undercover and surveillance operations, revealed that, instead of correctly reporting the actual sale price of a trap tag transfer, Reyes was reporting a sale price much lower than what was actually paid – usually by $100-$200 per tag, resulting in a considerable deficit in surcharges due to the State of Florida. By grossly reducing the price of the certificates, Elena Reyes saved her clients money by defrauding the State of Florida roughly $200,000. In addition to misreporting sale prices on behalf of her “clients,” Reyes also used commercial fishing licensees’ personal information to falsify Crew Share Statements on behalf of other individuals desiring to receive a Restricted Species Endorsement when most of them would not have qualified legally, and even went so far as to abuse her sworn oath as a notary public. In completing Crew Share Statements, Elena Reyes knowingly and purposely utilized the personal identification of multiple subjects. Information used included names, last five digits of Social Security numbers and Saltwater Products License numbers. The subjects did not authorize the use of their personal identification information for the Crew Share Statements. Reyes gained possession of the personal identification information through the subjects being her clients and/or conducting business that ended up being processed through her at some point. Throughout the years, Reyes has created more than 200 falsified Crew Share Statements. Currently, approximately 60 victims of this criminal conspiracy have been identified. In addition to FWC resources, other agencies involved in this operation included the Department of Homeland Security, Florida Department of Law Enforcement, NOAA, U.S. Fish and Wildlife, U.S. Customs and Border Protection, and Monroe and Miami-Dade County law enforcement agencies. “The teamwork during this operation has been exceptional. We especially want to thank the Attorney General’s Office of Statewide Prosecution for their hard work on this case,” said Escanio. As a result of this team effort, legitimate commercial operators are protected, this valuable resource is properly conserved, the theft from the people of the State of Florida does not go unpunished and a clear message is sent to others who would break Florida’s conservation laws. Commercial fishing is an integral part of Florida’s economy. More than 10,000 Saltwater Commercial Fishing licenses (SPL – Saltwater Products License) are active, along with thousands more wholesale and retail dealers. Florida’s commercial fisheries generate $17.7 billion in sales, $3.3 billion in income, $5.9 billion of value added and support 92,858 jobs. One of Florida’s iconic species is the spiny lobster, the No. 1 species in commercial dockside value harvested each year. Demand from overseas markets like China have only heightened the lengths that unscrupulous individuals will go to in order to take advantage of the skyrocketing demand for this product. As is the case in most states, the FWC has a robust and comprehensive licensing system for individuals who wish to fish commercially in state waters. The number of lobster trap tags is limited for effective management of the resource, requiring fishermen to follow certain rules and regulations pertaining to the transfer or sale of tags from one person to another. One of those regulations is the payment of trap tag transfer surcharge fees to the FWC when tags are transferred from another commercial fisherman. The fees collected from such transfers go to managing the fishery for future generations, population studies, enforcement efforts and other vital programs pertaining to resource conservation. Another requirement for acquiring a valid Restricted Species Endorsement (required for commercial lobster trappers) from the FWC is providing proof that a significant portion of a fisherman’s income comes from commercial fishing. This allows for a limited number of individuals who truly rely on commercial fishing as a livelihood to receive the allowances afforded to commercial fishermen when harvesting seafood products for sale. One of the methods for such verification is a Crew Share Statement from a licensed commercial fisherman. This investigation began in August of 2016 as a result of FWC enforcement efforts concerning spiny lobster trap and trap tag violations. At that time, three separate cases resulted in 347 misdemeanor and 64 felony charges against the suspects. A deeper look by investigators into the suspects’ records and history revealed numerous discrepancies with trap tag transfer surcharge fees, suspicions of identity theft, forgery of official documents, false notarization of documents and the falsification of Crew Share Statements (a method of proving that a significant portion of one’s income comes from commercial fishing). Those discrepancies led investigators to broaden their scope and look into the activities of Elena. Reyes.